Physical characteristics: Sacred ibises are medium-sized wading birds that are covered with white body feathers. The rest of the bird is black, including its bill and the scaly skin on its naked neck, head, and long legs. They also have lace-like black feathers on their backs that cover their tails. Sacred ibises are between 25.5 and 35 inches (65 to 90 centimeters) long from bill tip to tail, and they weigh about 3.3 pounds (1.5 kilograms). Males and females look alike, but the males are a little larger than the females. 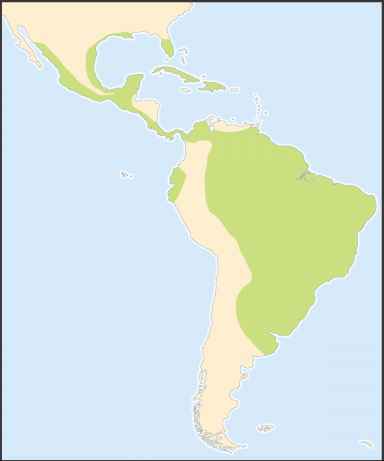 Geographic range: Most sacred ibises live in the southern two-thirds of the African continent, south of the Sahara desert, and on the western side of the island of Madagascar. Large colonies also once lived in the marshes of southern Iraq, but the marshes were drained and many of the birds disappeared. Habitat: Sacred ibises are found in coastal lagoons, marshes, damp lowlands, and farmlands. They live in both dry and flooded grasslands and along the muddy shores of lakes and rivers. Sometimes they wander into deserts or feed at garbage dumps and in recently burned areas. Diet: Groups of sacred ibises often feed in shallow pools where they catch little fish, insects, worms, frogs, shrimp, and other small creatures. They can bury their bills up to their eyes as they probe deeply in the mud. 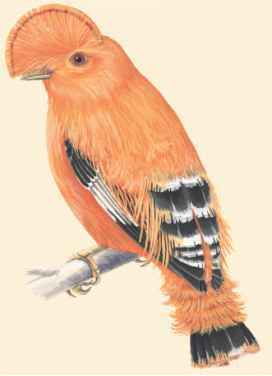 They also peck for insects on dry land and follow swarms of grasshoppers and locusts. They sometimes eat seeds and other plant parts, eggs, nestlings, small mammals, carrion, and garbage. Behavior and reproduction: Sacred ibises have strong wing beats and fly in lines or in V-formations. They can soar high, but they usually fly low over the water. After breeding inland, they often move to coastal areas during the dry season. They are usually quiet birds, but they make grunting and croaking noises during breeding season. They build stick nests and the females lay three or four eggs. Both parents help to raise the young. 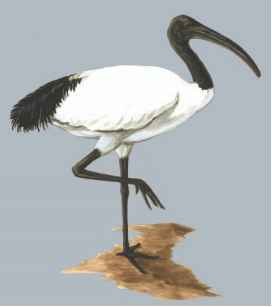 Sacred ibises and people: Drawings from ancient Egypt show Thoth, their god of wisdom and knowledge, as a man with the head of a sacred ibis. The Egyptians painted murals and carved statues of ibises, and they even made mummies of the birds. Unfortunately, the sacred ibises died off from habitat loss in Egypt by the beginning of the nineteenth century. Conservation status: Sacred ibises are not threatened worldwide, but they are no longer able to live in some of the places where they once lived.